Ruby Star Airpark is a private residential airpark. The runway is for the use of Residents, Tie Down and Hangar Tenants, and approved Guests only. Transient aircraft are welcome on a Prior Permission basis. TRANSIENT: Must complete the Prior Permission Request Form. INSURANCE: All aircraft must carry a minimum of $1 million of liability coverage. 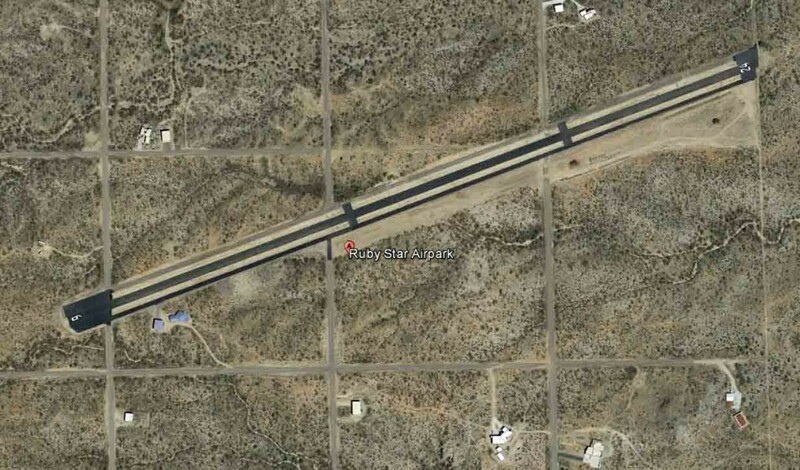 LEGAL: Ruby Star Airpark requires that all aircraft meet FAA Airworthiness requirements. Pilots should be current and qualified in accordance with the appropriate Federal Air Regulations. MINIMUM ALTITUDE: Maintain FAR Minimum Altitudes. CAUTION: Flying Diamond Airpark (6AZ8) is approximately two miles north of Ruby Star Airpark!! TRAFFIC PATTERN: Fixed Wing: 5,000′ MSL pattern altitude – Runway 6: Left Traffic, Runway 24: Right Traffic – Helicopters: Per FAR 91.126, “…avoid the flow of fixed-wing aircraft”. Use caution for the effects of rotorwash on other aircraft, personnel & property. RUNWAY: Runway 6/24: Asphalt, 4,300′ long x 50′ wide. Runway Slope: 2.9% gradient up to the west, down to the east. Runway 24 preferred for landing subject to pilot’s discretion, Runway 06 preferred for takeoff subject to pilot’s discretion, Be alert for animals on the runway. Caution!! Loose gravel on taxiways. RADIO: MULTICOM 122.90 – All aircraft are required to use radio communications! LIGHTING – NONE: Night operations are PROHIBITED! Runway is unlighted.